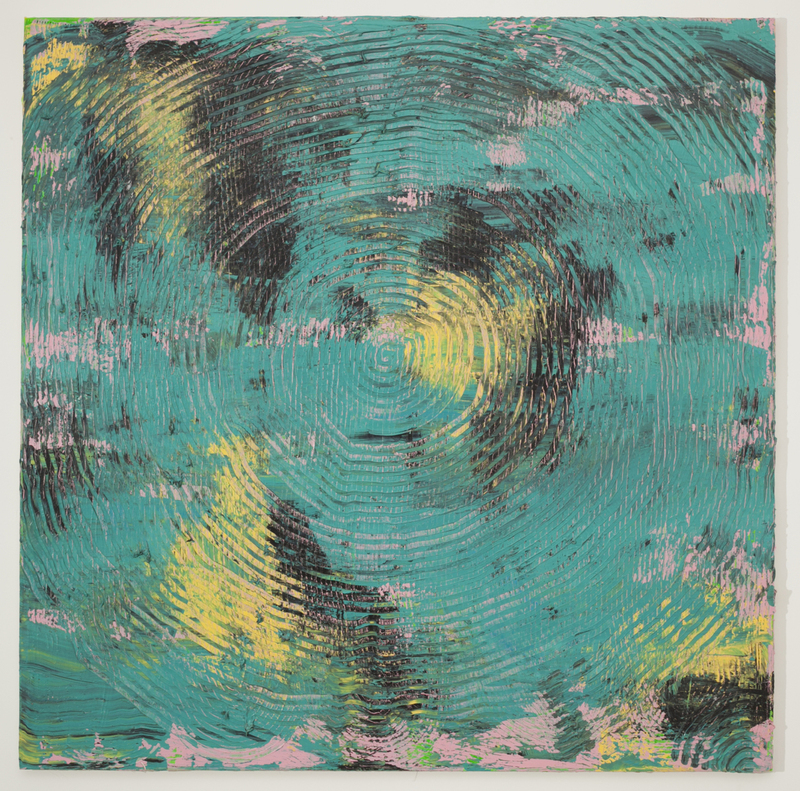 Essay By: Becca Maksym Curator at the Utah Museum of Contemporary Art For Adam Bateman’s acrylic on canvas “Field” paintings, the connection of fields of land to fields of abstraction rests in the residue of Modernism. In the study of physics, a field is defined as the region in which a particular condition prevails, especially one in which a force or influence is effective regardless of the presence or absence of a material medium. This notion of a force that prevails despite the manifestation of physical forms also can be understood in terms of cultural trends, most poignantly Modernism. If Modernism is the condition, then abstraction is the force, as this language of subconsciousness and nonrepresentation acts as a field that continually influences ideas concerning material, process, and concept. As a prevailing condition, Modernism continues to shape how contemporary artists grapple with notions of industry, tradition, and obsolescence. Bateman engages with these concepts not only through formal exercises in color, line, and shape, but also through expressions of spontaneity and subconscious creation that characterizes modernist tendencies. 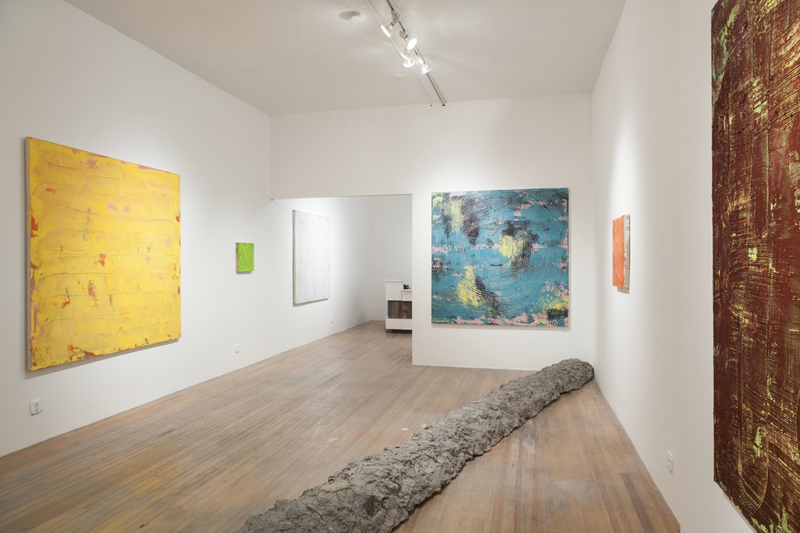 Yet these fields of color suggest a more grounded approach to abstraction, as Bateman’s work also aligns with the tradition of landscape painting. In agriculture a field is defined as a plot of enclosed land cleared for cultivation or pasture. 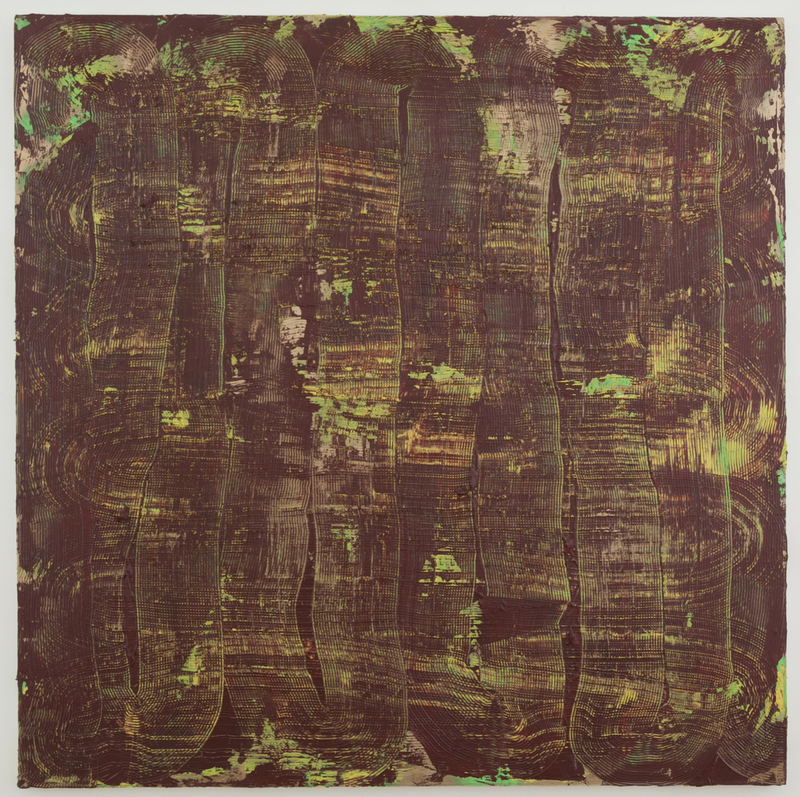 Raking through layers of applied medium, the artist creates ridges and trenches of turned over paint resembling a birds eye view of plow lines in tilled soil – in this case bounded by the square frame of the canvas. These arial scenes of agricultural production exist well outside of urban epicenters that have come to dominate cultural production. Ironically these formal visions of the rural landscape are most accessible to jetsetters flying high above these regions as they travel from city to city. This vacillation between abstract expressionism and pastoral depictions speaks to the historical trajectory of painting as a practice of replication and iconography, a system of gestures and movement related to anti-figurative aesthetics. In this sense, Bateman’s canvases reflect both denotative and connotative notions of fields as literal representations of large areas of land while simultaneously gesturing towards concepts of vision, action, and energy. 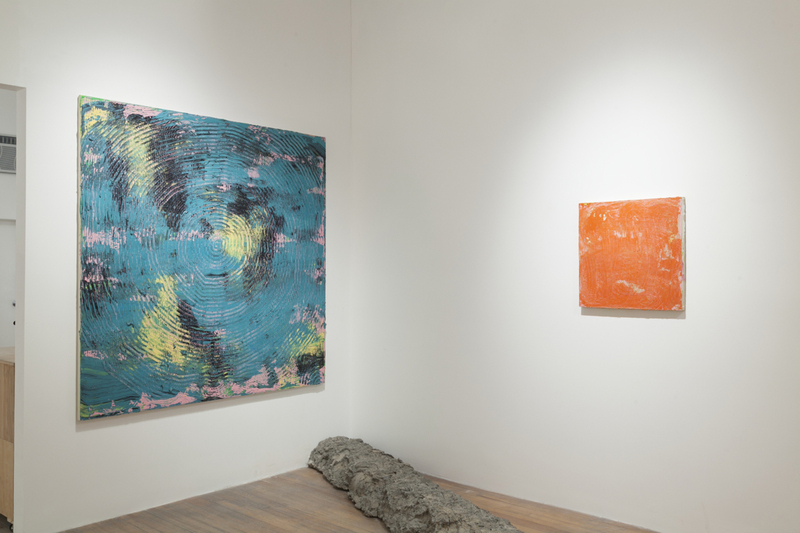 Bateman’s process of application and removal of layers of paint further exemplifies how this body of work connects to the multiplicity of fields. Reminiscent of the machine aesthetic from earlier styles such as de Stijl and Constructivism. While the furrows of paint might remind one of mechanical production, the irregular remnants left from his process of adding and subtracting layers evoke a form of expressionism found in the work of Wassily Kandinsky and Clyfford Still, where the gesture of the hand is paramount to the perfection of the machine. This attention to the materiality of the paint in relation to the movement of the body is contrasted by Bateman’s choice in palette. Rather than apply earthy tones associated with traditional landscapes, Bateman’s range of colors are often vibrant and almost metallic evoking characteristics of Pop art. This conflation of pastoral scenes and synthetic materials also suggests the mechanization of agriculture in our current era of hyper-mass production and consumption, with only the slight imperfections of the parallel lines reminding the viewer of the human element in this system of cultivation. 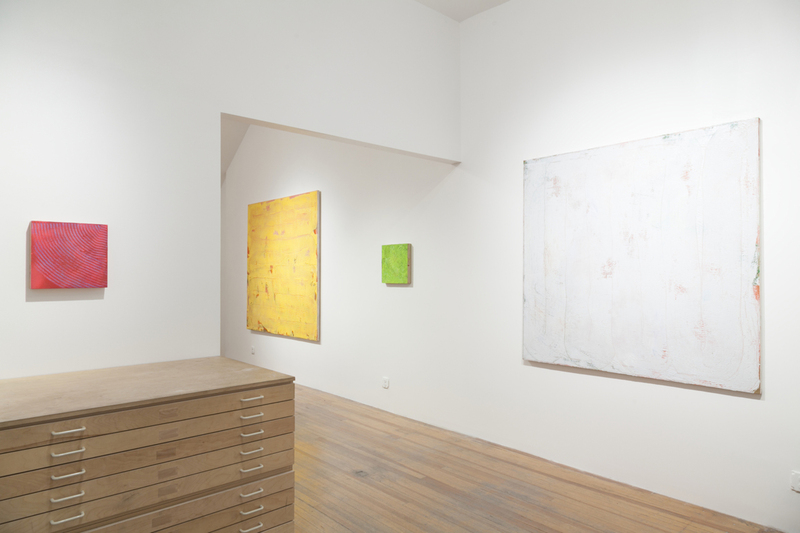 Bateman’s Fields reveal a poignant approach to contemporary abstraction. His intersection of traditional landscape painting with the plurality of Modernism demonstrates how place and process remain central to understanding the effects of cultural trends. These fields are not explicitly areas of land, visual plains, or forces of energy, rather, they are multitudinous representations of how abstraction continues to communicate the simultaneity of presence and absence of form amidst an ever evolving cultural plane. 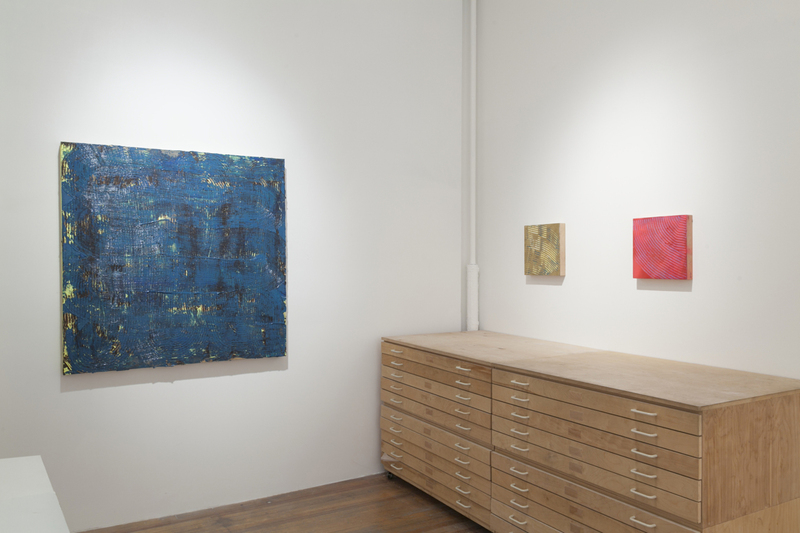 About the Gallery: Gildar Gallery is a cutting edge contemporary art gallery in Denver. 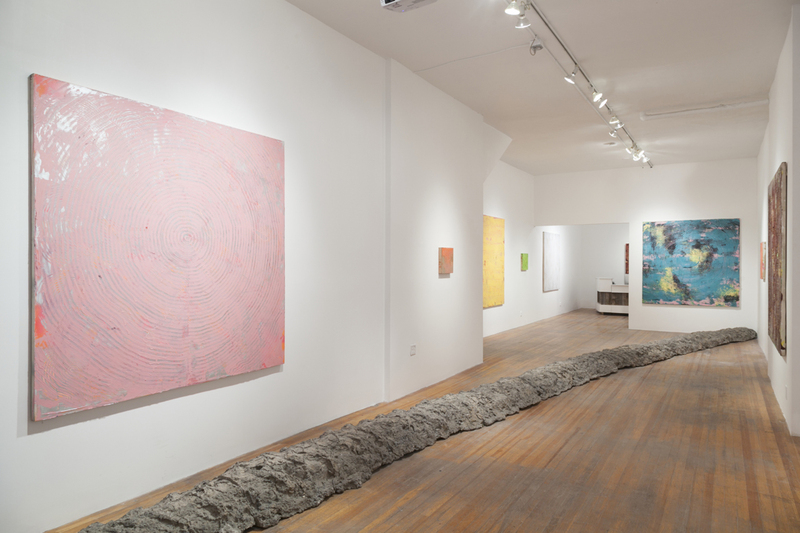 With a spirit of collaboration and cultural exchange, the gallery actively works to cultivate the careers of emerging artists and to expand the legacies of important historical and established figures from within Colorado and well beyond. 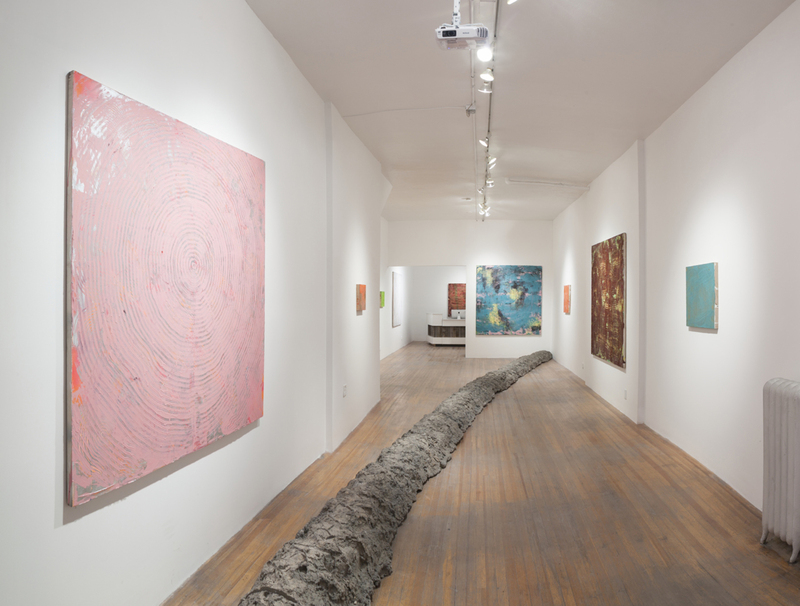 The gallery has received a number of accolades in Denver for its unique vision including receiving 5280 Magazine’s distinction as Top Gallery in 2012, as well as multiple positive reviews for exhibitions in the Denver Post and The Westword including its 2014 Best Emerging Artists Show and the readers’ choice award for Best Solo Exhibition.